Do you want to impress your clients when you conduct a VIP meeting? Book a limousine service to create that one of a kind and elegant expression. Give them an exciting journey with a touch of comfort and sophistication. We, at Fast Limo Hire in London can provide you with top notch service which provides a solution to your need of an exciting and professional limousine service for your VIP clients. 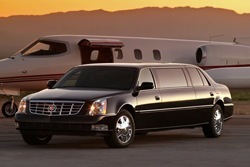 We will transport your clients on time for a business meeting. We value your time; therefore we make sure that all of your clients will arrive on time and without the hassle of having to commute or to procure their own car rentals. We will provide you and your clients with utmost importance and value which will let you have that good impression which you desire. We will provide you with the limo hire in London according to your specific instructions and specifications. You will be given with chauffeurs who are professional, experienced and highly skilled in ensuring the safety of all passengers. Get to enjoy your journey along with your clients if you want to and indulge in a chilled bottle of champagne while you are on your way to your meeting. Let to relax on the leather seats and other amenities such as our video and audio systems which are all incorporated on our limousine hire service. You can click here to see our limo hire prices or you can call us 020 3006 2092 and speak to one of our customer services team.